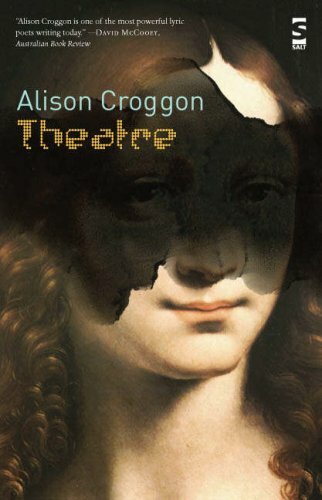 Alison Croggon (b. 1962) has been described as "one of the most assured of a new generation of Australian poets." She is the author of three full-length collections published in Australia, whilst a selected poems, The Common Flesh: Poems 1980-2002 appeared in the UK in 2003 (Arc Publications). Her poetry has won or been short-listed for several of Australia's major awards. In addition, she has written plays, libretti, translations, criticism, and fiction. In 2000 she was Australia Council Writer in Residence at Pembroke College, Cambridge University. 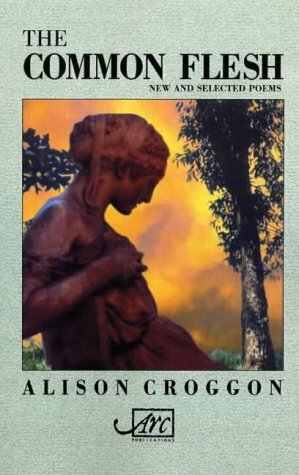 Croggon's early experience was one of rootlessness: born in South Africa she lived in England from 1966-1969 before moving to Australia. She has suggested that this early experience of dislocation may form the source of her particular creativity, investing her work with the fluidity of an exile. Her poems have been described as "amphibian", shifting in style and form as they seek ways of articulating an authentic response to the world. Voice is a recurrent theme: in 'Seduction Poem' the narrator exhorts her lover to "put down your grammatical tongue" - true speech needs to move beyond normal daily interactions. The struggle between conventional expression and true voicing is dramatised in 'Songs of a Quiet Woman' and this tension between singing and silence informs many of the recorded poems. Her aptly entitled sequence, 'Amplitudes', is one example of Croggon's search for an uncompromising and uncompromised language. Mixing the quotidian and the mythic and driven by a caustic anger at what the ideology of consumption is inflicting on the world, the poems speak in prophetic tones. However, Croggon's poems also sing the world's praises in words that are sensuous to the point of ecstasy: it's no surprise that many of them have been set to music. Her own reading voice accentuates the rhythmical. The long pauses she allows between stanzas act like rests in music. Her precise delivery is a pleasure that emphasises speaking as a physical act; the movement of tongue against teeth and lips, the mouthing, as she puts it in 'Amplitudes', "of a fabulous excess". Her recording was made for The Poetry Archive on 3 December 2002 at the Audio Workshop, London, UK and was produced by Richard Carrington.